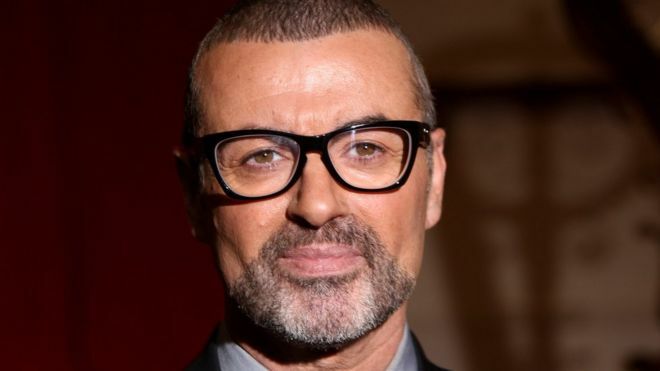 A former prison officer has been jailed for 12 months after admitting selling stories about singer George Michael to the Sun newspaper for £2,150. Amanda Watts, 43, from Bury St Edmunds, Suffolk, pleaded guilty in September to misconduct in public office. She revealed details of Michael's time in Highpoint South Prison, which led to five stories in the Sun. An Old Bailey judge said her job had demanded "loyalty and discretion", but she had set a "bad example". Watts was arrested under Operation Elveden, a Metropolitan Police investigation into alleged inappropriate payments by journalists to police and other public officials. Michael was jailed for eight weeks in September 2010 for crashing his Range Rover while under the influence of cannabis. He spent the last part of his sentence at HMP Highpoint South, the category C prison in Suffolk where Watts worked. Judge John Bevan QC said her offence had been aggravated because she had handed over information about a private prison visit by a friend of the singer, who was "famous for being a flawed idol". She also provided the Sun with a sketch of the singer's room, indicating a large tree outside the perimeter of the jail where a photographer was subsequently found to be lurking. Det Ch Supt Gordon Briggs, the officer in charge of Operation Elveden, said: "Watts sold confidential information, which she had gained through the course of her job, to a newspaper. "When public officials behave in this way and breach the trust and confidence placed in them, they undermine the trust placed in public servants to act with honesty and integrity." Earlier, in mitigation, Watts's lawyer Stephen Dyble argued she should receive a suspended sentence as she was in a "fragile state" and suffered from chronic autoimmune disease, lupus. He said she had left the prison service in 2012 suffering from post-traumatic stress disorder after being hit in the face by a urine and faeces "bomb" thrown by an inmate. Mr Dyble said the money from the Sun was not spent on "the high life", but instead helped her husband pay legal fees as he attempted to get access to his children. Watts accepted she had breached Michael's confidentiality and that despite his "fall from grace", he was still entitled to privacy, her lawyer added. She was also ordered to pay £800 in costs and comply with a confiscation order of £2,999.